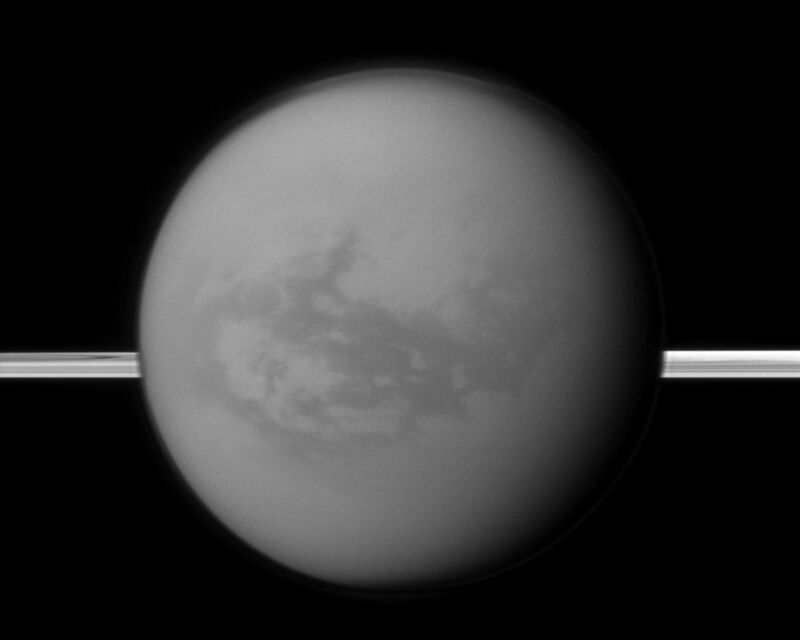 Saturn's rings lie in the distance as the Cassini spacecraft looks toward Titan and its dark region called Shangri-La, east of the landing site of the Huygens Probe. See PIA06136 and PIA07565 to learn more. The moon's north polar hood is also visible here. 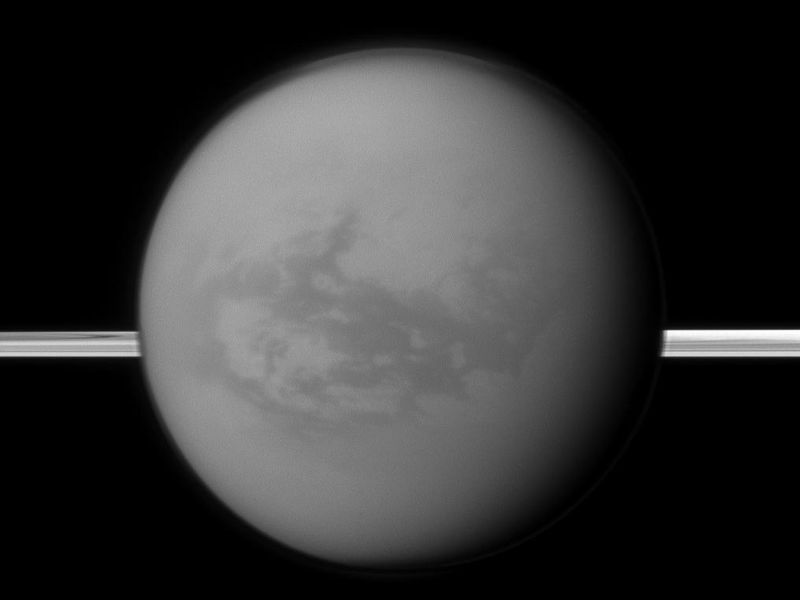 See PIA09739 and PIA08137 to learn more about Titan's atmosphere. 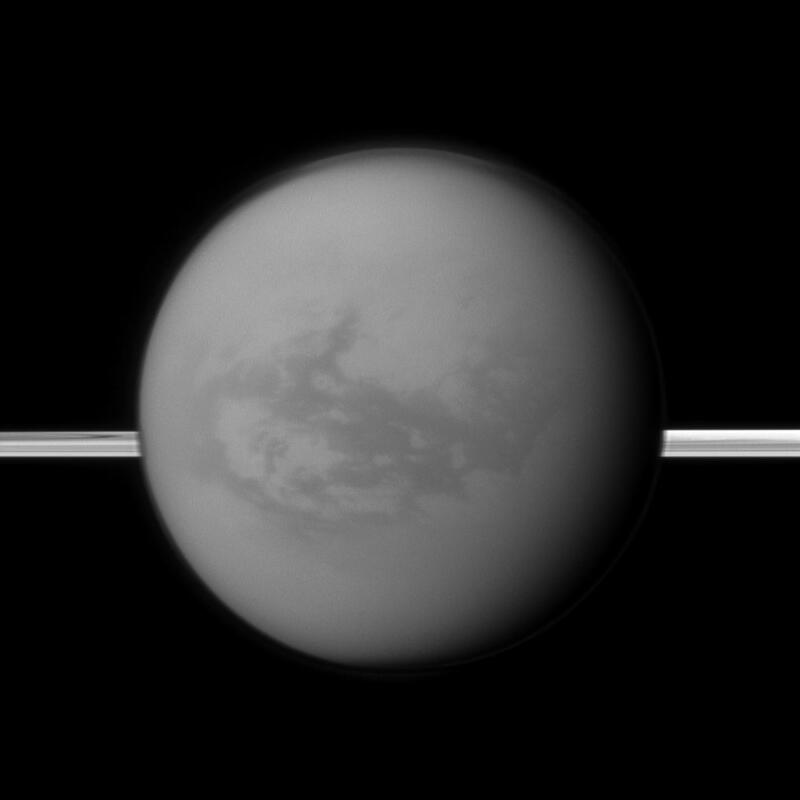 This view looks toward the anti-Saturn side of Titan (5,150 kilometers, or 3,200 miles across). 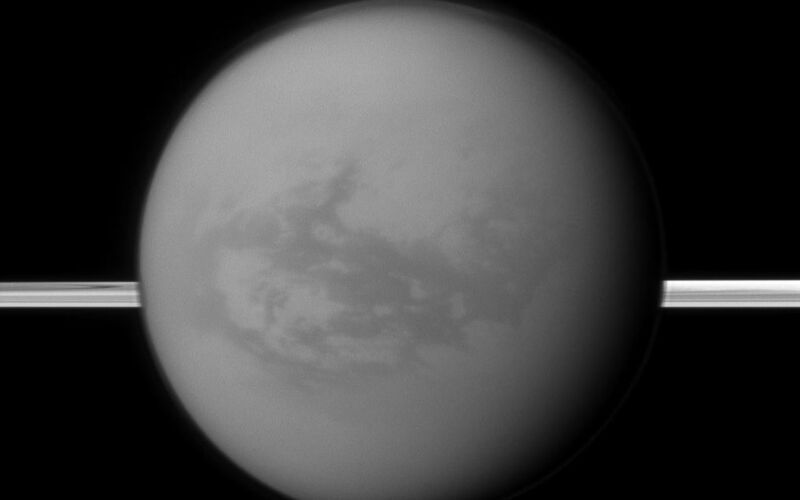 North on Titan is up. This view looks toward the northern, sunlit side of the rings from just above the ringplane.